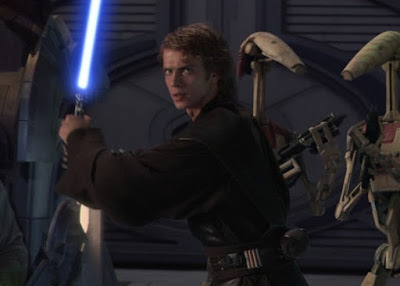 Lucasfilm announced today that Star Wars prequels star Hayden Christensen will be attending this years Star Wars Celebration Chicago convention. Christensen, who played Anakin Skywalker/Darth Vader in Attack of the Clones and Revenge of the Sith, will be on hand next month to meet with fans and sign autographs. Christensen previously appeared at 2017's Star Wars Celebration Orlando, where he was met with uproarious applause and a standing ovation during his appearance at the 40th anniversary of Star Wars panel. Previously announced guests include, a trio of warriors, a pair of iconic secondary characters, a pair of pilots and a villain, two voice actors and 2018's biggest surprise appearance, a trio of iconic characters, a multitude of voice actors and onscreen stars, co-stars from across the saga, some of the co-stars of the new films, a group of Star Wars authors, ILM's Rob Bedrow, six Star Wars voice actors, and stage hosts Warwick Davis, David Collins, and Amy Ratcliffe.